Found 4 file extension associations related to WaterCAD and 3 file formats developed specifically for use with WaterCAD. Enjoy unparalleled ease-of-use and versatility, multiple background support, advanced thematic mapping, powerful element symbology features, and conversion utilities from CAD, GIS, and databases. 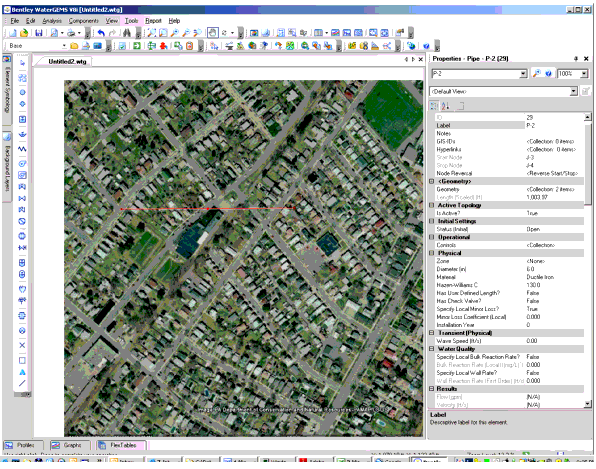 Support for MicroStation is included at no additional cost; seamlessly use every WaterCAD feature within MicroStation's powerful engineering design and geospatial environment. WaterCAD's award-winning AutoCAD interface is available as an add-on feature so you can directly leverage AutoCAD's drafting tools with your WaterCAD models. If you need more information please contact the developers of WaterCAD (Bentley Systems, Incorporated), or check out their product website.